A brand for all, with the ability to include in its long experience and history in tailored quality, up with time, with an eye for the future. VERRI has been a long lasting brand and has become a reference point during its 44 years of activity for all men who want to shock for their simplicity A Brand comfort-oriented with elegance, that creates garments extremely versatile for any occasion, adding value to the high quality materials used, to style and design. In 1972 Leonardo Brugognone,a Sicilian-born businessman, brought up amidst textiles and fashion, decided to open the first Verri boutique in Milan, entirely dedicated to men. This was sited in Milan's fashion rectangle, in the road which gave its name to the boutique: Via Pietro Verri. After just a few years,due to the desire to meet the needs of an increasingly demanding clientèle, Verri was transformed into Verri Uomo, a true brand name, renowned for its ability to unite elegance, quality and creativity in a single collection. In 1978, after the launching of the first publicity campaign, Verri began to enter the overseas markets with great success, expanding its projects beyond national boundaries. In the following year Verri was present for the first time on the catwalks of the Milanese fashion parades with a simple but very high quality collection. The philosophy of the product was characterised by elegance without constraints and clothes of extremely high quality which could, however, be worn at any time and in any place. Many prestigious boutiques were opened throughout the world due to international diffusion of the brand name in the years following its creation, including New York's first pret-à-porter boutique on Madison Avenue in 1979 and Tokyo's first boutique in 1984. At the end of the 1980s the Verri style was chosen by Paramount Pictures to create the look and the clothes for Al Pacino, Andy Garcia and Chazz Palminteri in the last episode of "the Godfather" trilogy by Francis Ford Coppola presented in cinemas in 1990. It was also selected for Don Johnson in the Miami Vice television series. The middle eastern market began to develop in the 1990s with the opening of the Dubai and Abu-Dhabi boutiques, followed by Kiev in 1999. Then the Chinese market began to expand from the year 2000 with the opening of single-brand boutiques in the most important squares of the Chinese People's Republic. The expansion of the eastern market in the Empire of the Rising Sun became much more efficient with the assistance of a twenty-year partnership which sustained Verri during the opening of many shops throughout Japan. 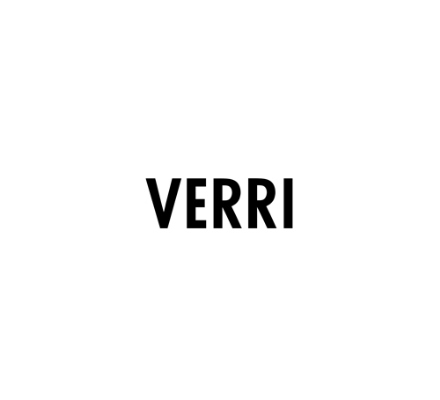 VERRI has been a long lasting brand and has become a reference point during its 44 years of activity for all men who want to shock for their simplicity A Brand comfort-oriented with elegance, that creates garments extremely versatile for any occasion, adding value to the high quality materials used, to style and design. VERRI had a stable and clear evolution as a brand through the years , caring about various aspects of style-production that have been dedicated to customers ‘needs and quality standards. VERRI, in its own actual path, is now more young oriented, maintaining its own strong historical base of customers created through the years in the luxury segment of the market. VERRI attracts men with its dynamic style and its innovative and original details. This trend satisfies all modern and elegant professionals , who have a very independent life and are very sensible to all new trends. VERRI style is created for an elegance without constraints. Core elements for international recongnizability of the brand are quality and fit. VERRI Collections are made, since the beginning, with high quality fabrics and with tailor-edge finishing and details. Now VERRI looks to future with no hesitation and its own innovative vision of Style and Design.